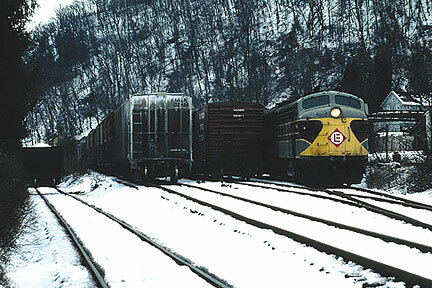 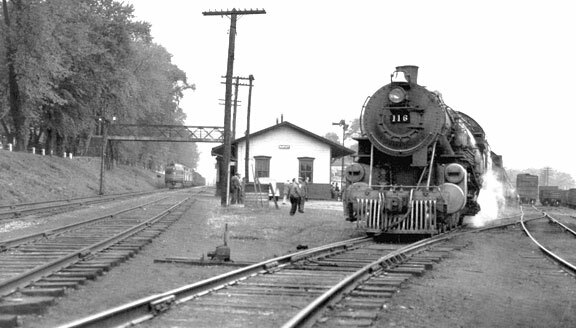 A Breif History - Over Bloomsburg and Rupert's history they have been served by a number of different railroads including the Delaware Lackawanna and Western, Erie-Lackawanna, Conrail, Reading, Bllomsburg and Sullivan, Susquehanna Bloomsburg and Berwick, and the Pennsylvania Railroad. 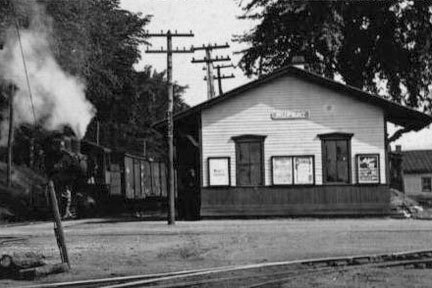 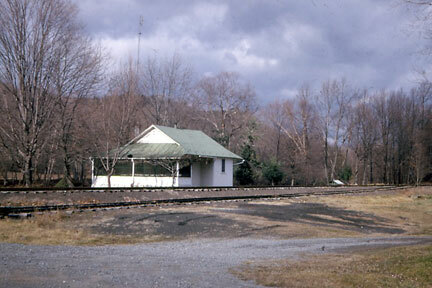 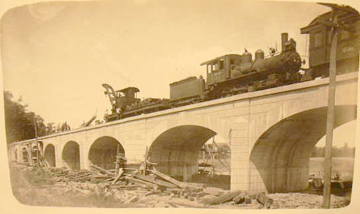 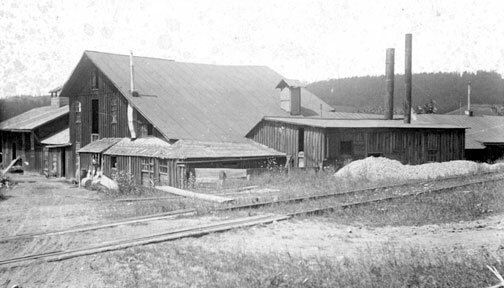 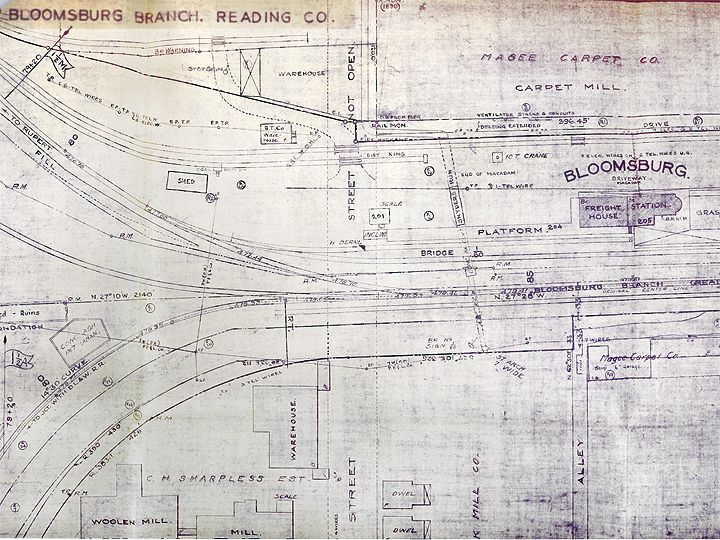 Rupert was a connection point for the Reading Railroad and the DL&W/Erie-Lackawanna Railroad. 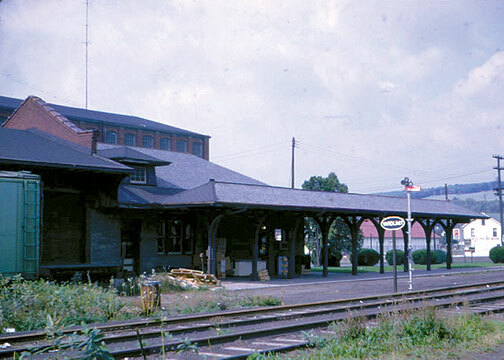 Across the Susquehanna you'll find the town of Catawissa. 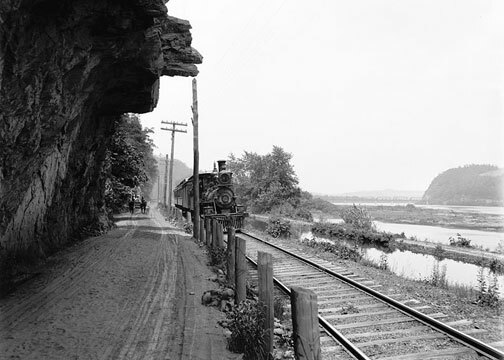 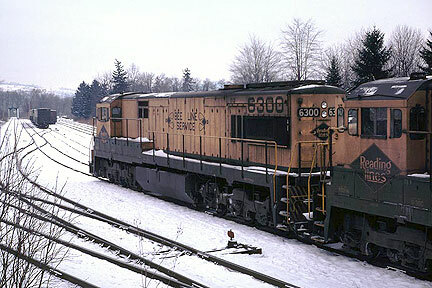 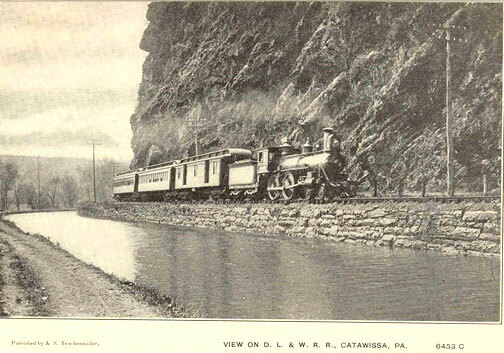 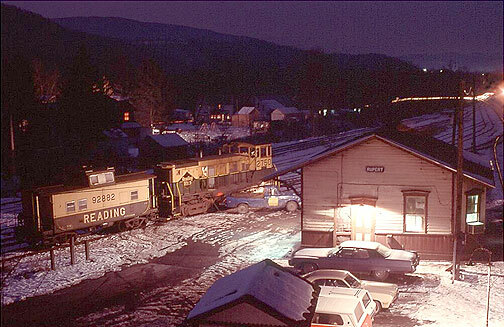 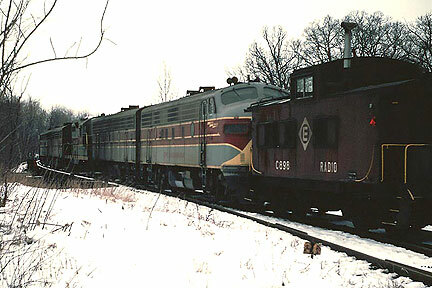 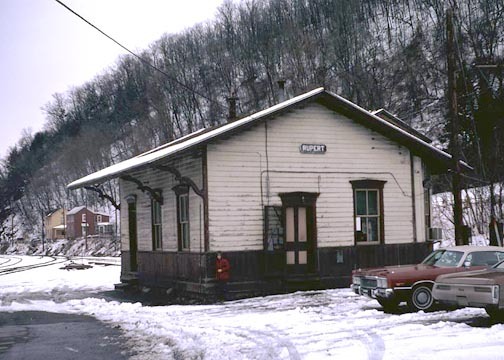 Catawissa was served by the Catawissa Railroad, Pennsylvania Railroad, Penn Central Railroad, and the Reading Railroad. 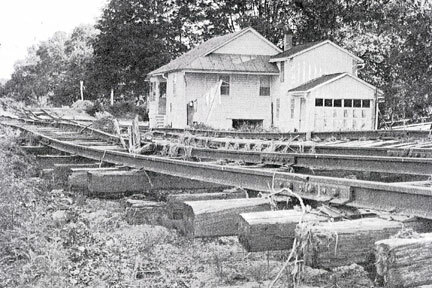 Even though these are small towns, they played a vital roll in the railroad history of our area. 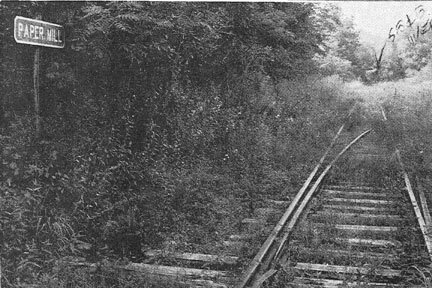 Below you will find some photos from their past. 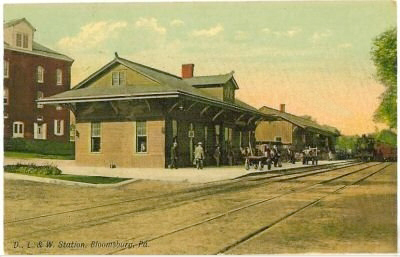 Bloomsburg DL&W Train Station Postcard. 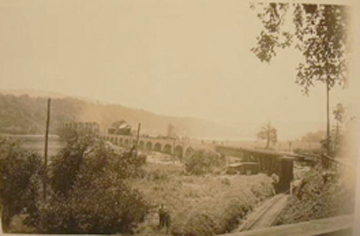 Photo was taken in 1930s? 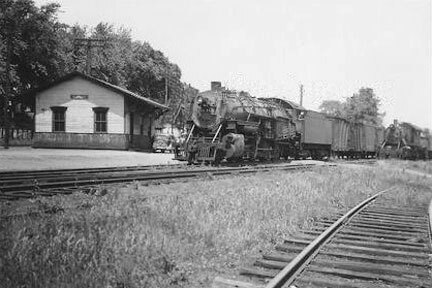 Photo was taken in 1960s? 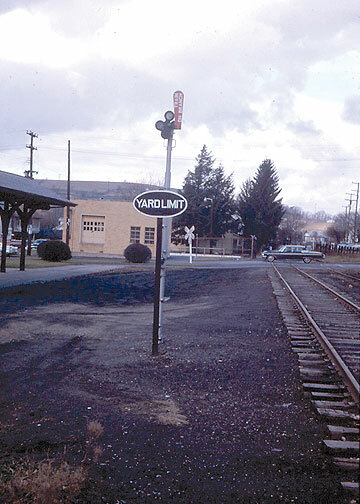 Block Signal and Yard Limit sign at the Reading Station. 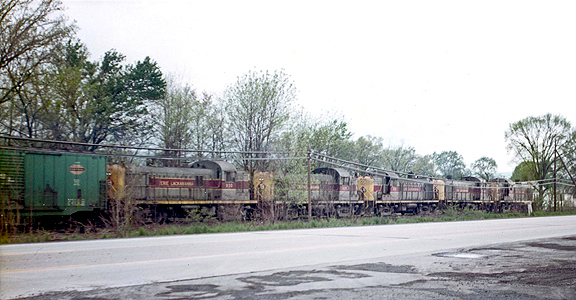 5 RS3's heading into Bloomsburg. 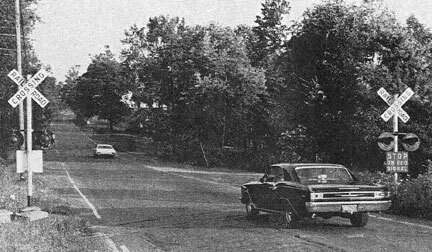 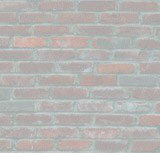 This photo was taken along Rt.11 near where McDonalds is located. 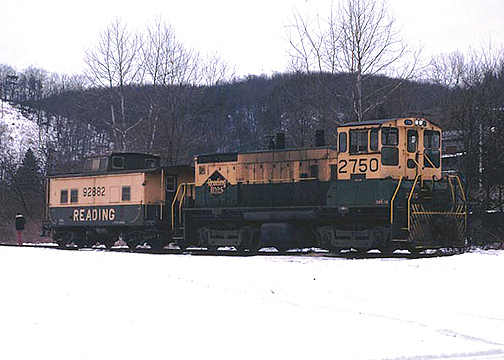 Railroad crossing leaving Bloomsburg on the Bloomsburg-Millville Road. 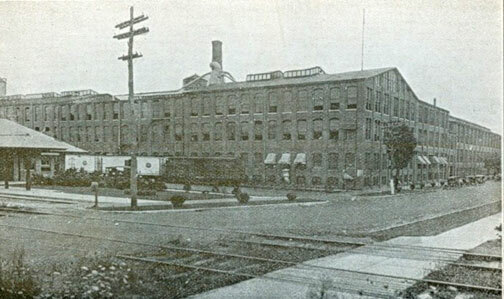 View looking across 5th Street at Magee Carpet. 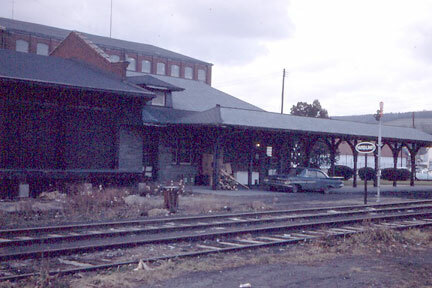 On the left you can see some rail cars and the railroad station. 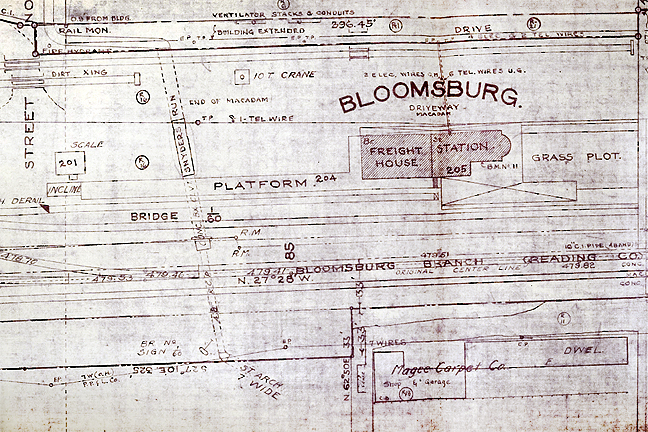 Close-up of the layout of the Reading Train Station in Bloomsburg. 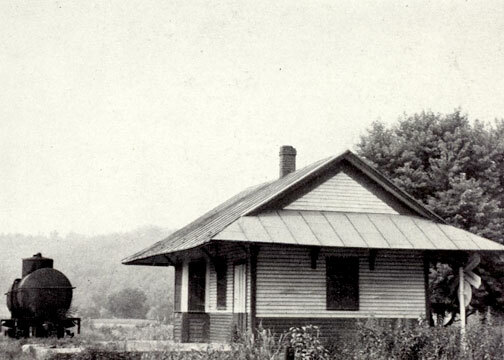 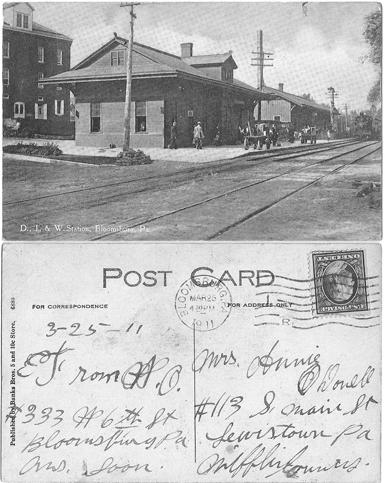 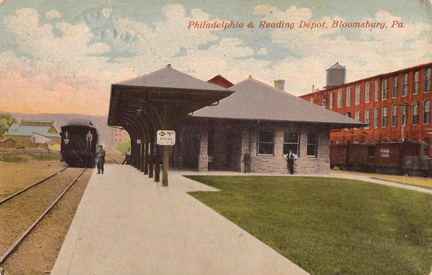 Postcard of the Reading Train Station in Bloomsburg. 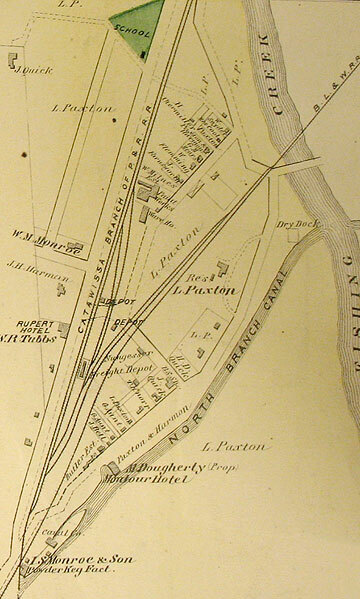 Old map of Rupert showing the track layout.